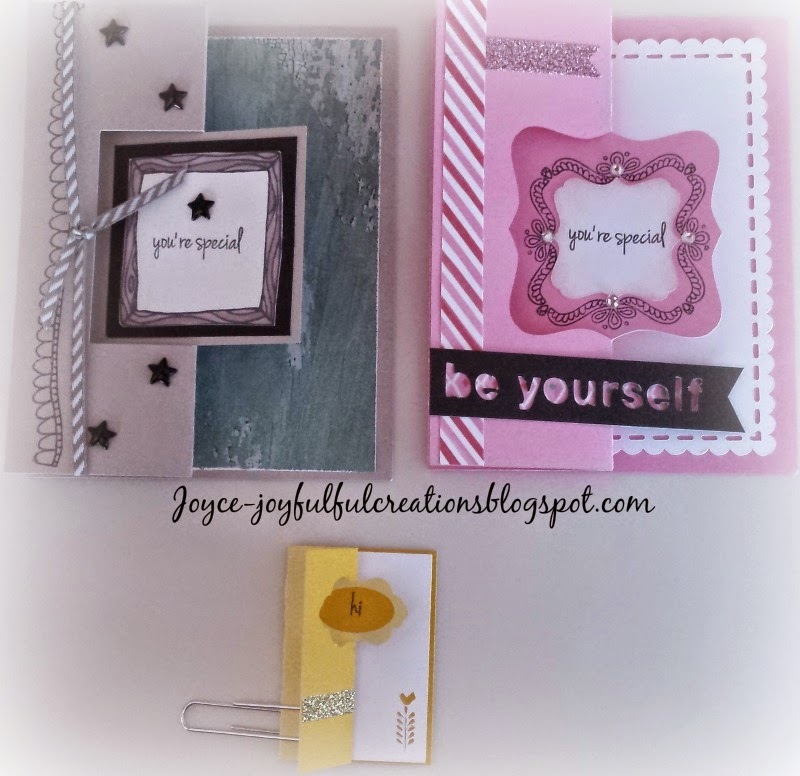 Welcome to our monthly Joyful Stars blog hop! You can hop from one blog to the next and enjoy wonderful creations we have to share. So just look for the link or name at the end of each blog and click on it and you will hop over to the next blog. Enjoy!!!! 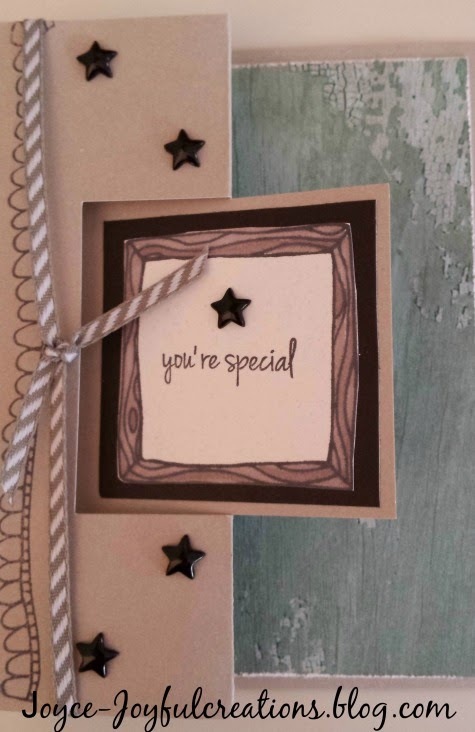 This month I have been working on some stamp of the month cards that I would like to share with you. 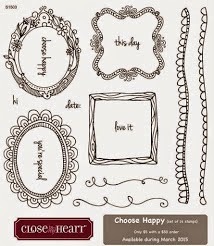 When I saw this stamp set all I could think of was swing cards. We have swing cards in Artiste and Artfully Sent. 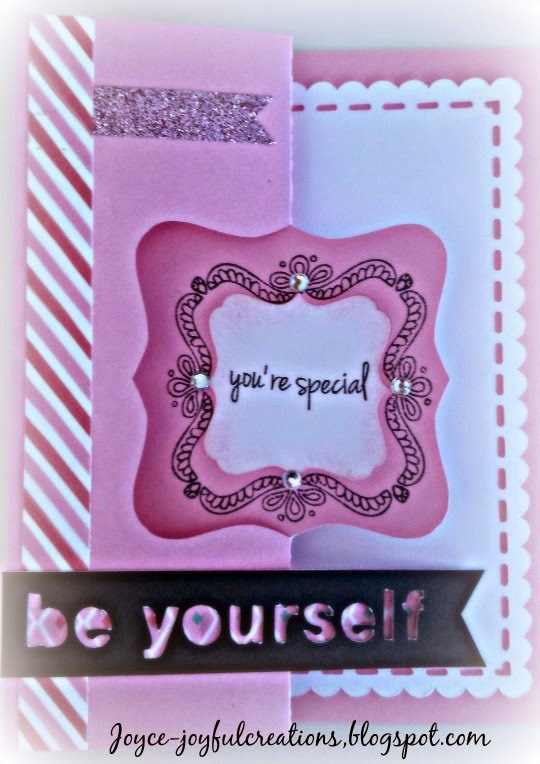 I used Artiste to make these cards, cut at 5 1/2"
.Here is the link from Design Studio https://us.cricut.com/design/#/canvas/25255071 Use this with your Explore machine to cut these cards. You can see by the picture above that this is a tiny card. The neat part about the Cricut is that you can make your creations any size. 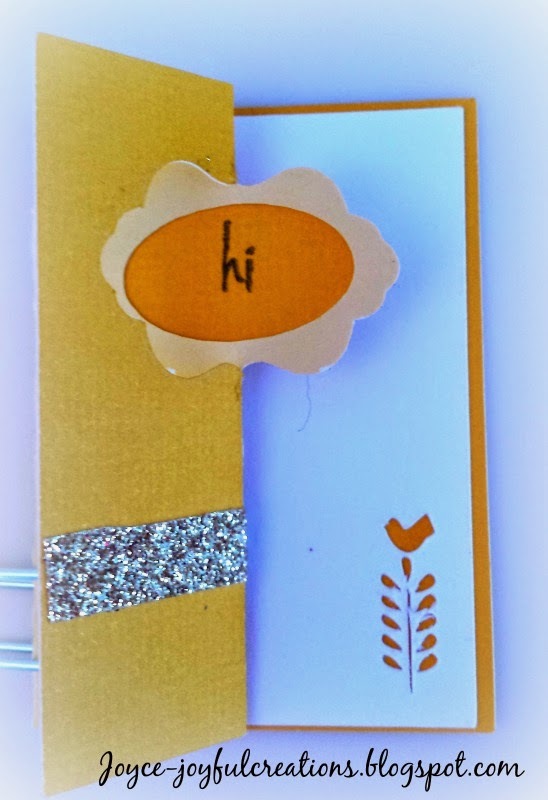 I used the "hi" from this stamp set. I hope you enjoy my post and now hop over to my friend Marie's blog. Joyce Houck Joyce-joyfulcreations.blogspot.com You are here!